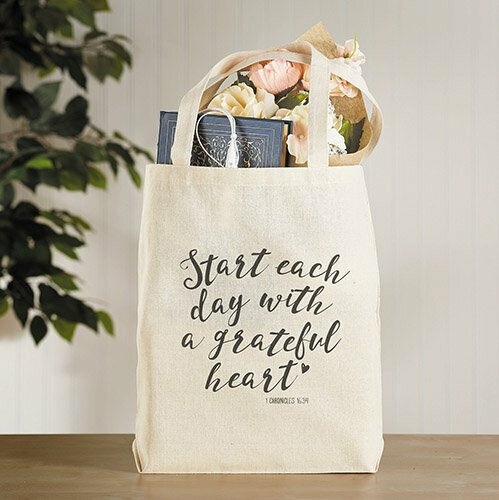 Our Canvas Tote Bags are perfect for just about anyone. 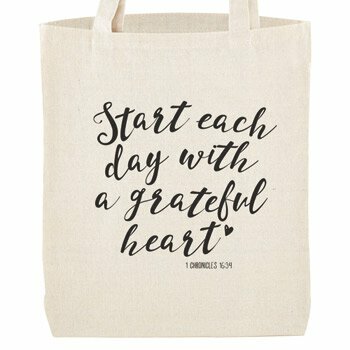 Bag includes a long handle for comfortable carrying, is crafted of sturdy canvas material and has a inside pocket for keeping track of smaller items. Features Bible verse 1 Chronicles 16:34.